The sit-in was peaceful, but it grabbed a lot of attention from passersbys. A handful seemed angry that the protestors were there and blocking their path. One student in particular confronted the students, stating that they were making it difficult for students who have disabilities to get through. The students, in response, made space for people to move around them. 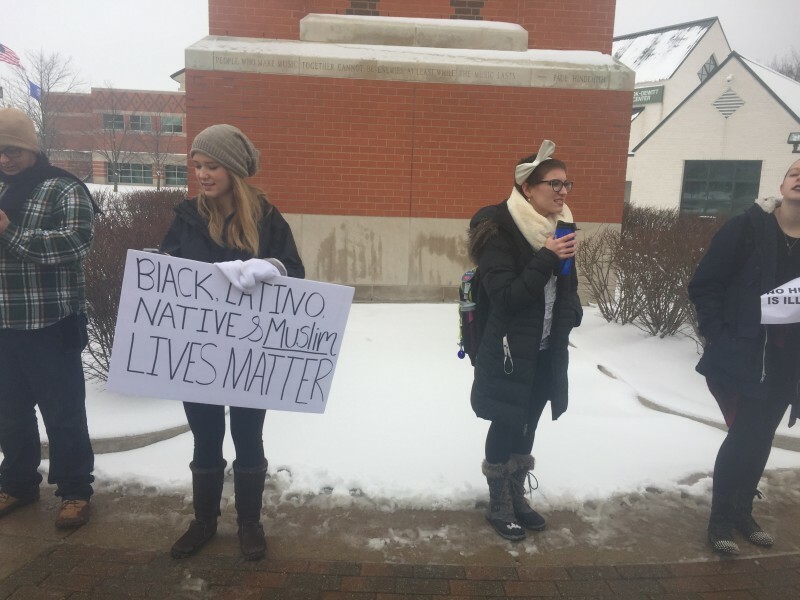 Later on, the student began videotaping the protestors without asking, and conflict arose. VanSolkema spoke on this issue afterwards: "I think it's important for students, citizens, and society to remember that sometimes things aren't always what they seem. 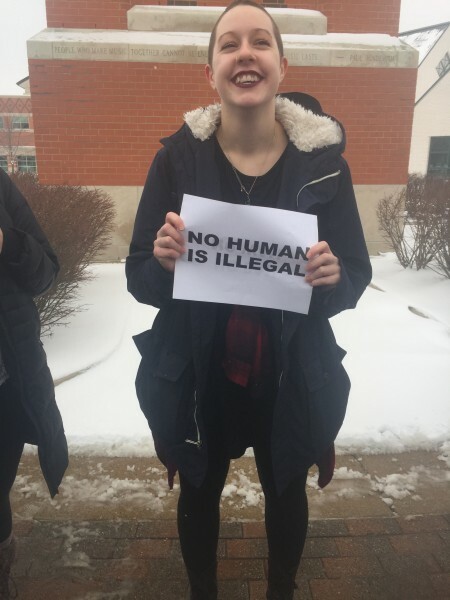 It's also important that when we take pictures and record that we're not putting our own biases into it either, as well as making sure that we're protecting other students, because right now, with these executive orders, students could have been in the background that did not want to be posted on social media or [they] may have been immigrants, and that puts them in danger." 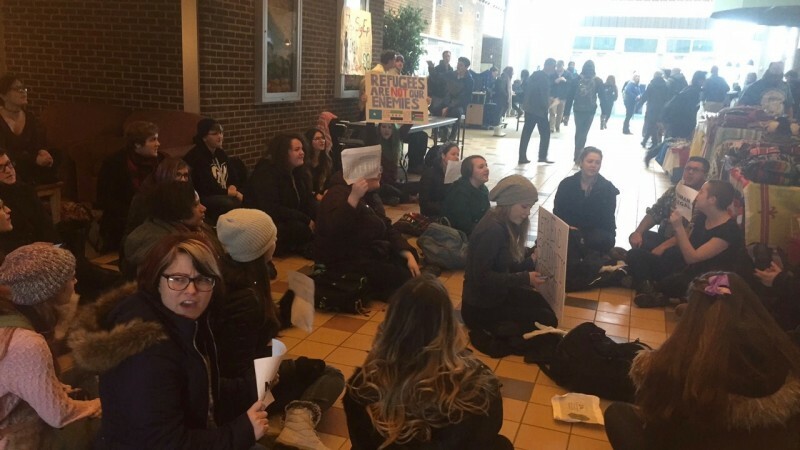 Along with the hope that GVSU will change its stance on the new immigration laws against Muslim individuals, the protestors also hope that this sit-in will help send the message that GVSU students will not stand for these unconstitutional policies. Megan Bardenhagen said, "I hope we sent the message that we are willing and able to organize against these attacks on minorities." One thing is for sure: GVSU students are dedicated, strong and passionate.